Dreamfall: The Longest Journey was delisted from the European Xbox Live Marketplace for Xbox 360 around 2009/2010 according to an anonymous submission to the site. The game was delisted in the US no later than April 29th, 2012. It remains available to download on Steam and also on physical media for PC and the original Xbox. According to our anonymous submitter the game on Xbox 360 can no longer be re-downloaded even if it had been previously purchased. 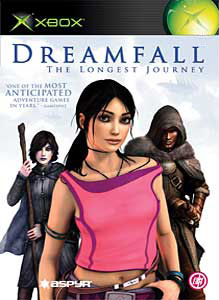 “Dreamfall: The Longest Journey, winner of multiple E3 awards as the best game in its genre, is the continuation of a saga that began in the award-winning The Longest Journey, considered to be one of the finest adventure games ever made. In Dreamfall, players are taken on an epic journey of exploration and adventure as they venture through a thrilling and emotional storyline. Dreamfall features a fully interactive world where beautiful music, stunning graphics, fascinating characters and unparalleled gameplay variety promises to bring the adventure genre into a new era. Prepare for a spiritual, fantastic and powerful gaming experience. Mature “Thriller”-type Storyline Dreamfall delivers a mature and compelling storyline that mixes the futuristic, fantastic and spiritual with a tale of murder, deceit and a conspiracy threatening our very existence. Bringing the classic adventure game into the world of the modern action game, Dreamfall delivers a rare and special story experience.